It’s very nearly the Easter holidays! 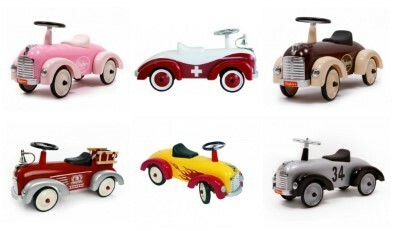 Spring hasn’t arrived with an abundance of good weather, but never fear, The Toy Centre is here! 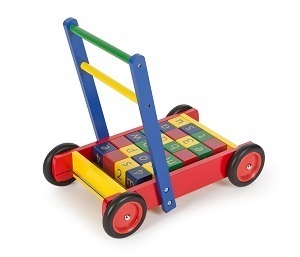 Whether you need inspiration for kids outdoor games or creative indoor toys, we are here to help. Let’s start with the great outdoors. If the sun is shining (fingers crossed!) and the sky is blue, kids love to go outside and play. 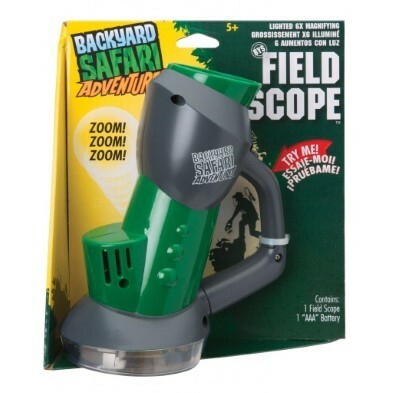 Knowing this, we have put together an exciting range of children’s outdoor activity toys to suit all budgets. We love these Backyard Safari sets by Alex. Children wonder at the freedom to explore and discover nature. 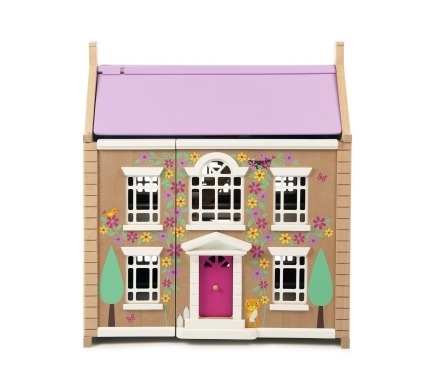 With these sets, kids can happily collect and examine their garden specimens – just watch out for worms and spiders! If the kids are feeling more athletic, our Classic Skipping Ropes have been entertaining children for generations. Can you remember learning to skip with a rope?? Do you have any would-be young gardeners? 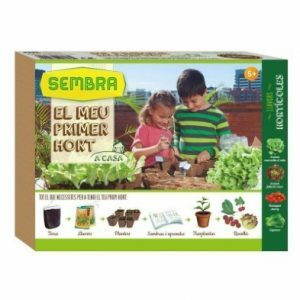 They will be thrilled with their very own Sembra Growing Kits. These fun educational kits inspire children to learn and understand how to plant and nurture young salad seedlings. How lovely to enjoy a tasty salad all of their own growing! 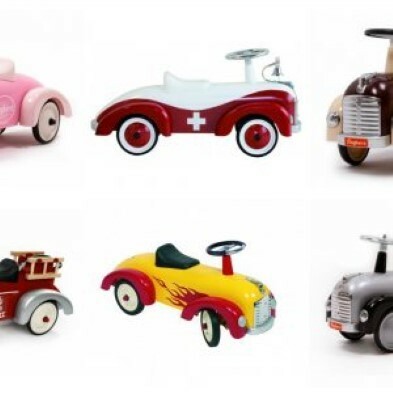 Whether inside or out, toddlers and young children will thoroughly enjoy zooming around in these cute retro style vehicles.To improve mobility and encourage independent play, do have a look at our brilliant range of Ride On Toys and Pedal Cars. Now for the indoors! If we are not blessed with dry weather, how about encouraging children’s creative skills? 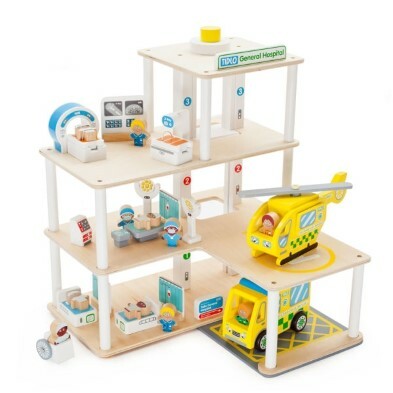 The Toy Centre has lots of ingenious ideas to get young imaginations working. 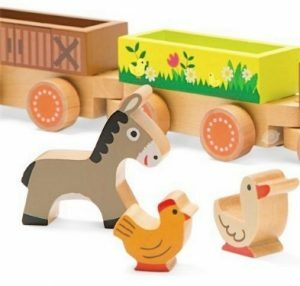 Budding artists will love these wooden arts and crafts sets (including easels and paints). 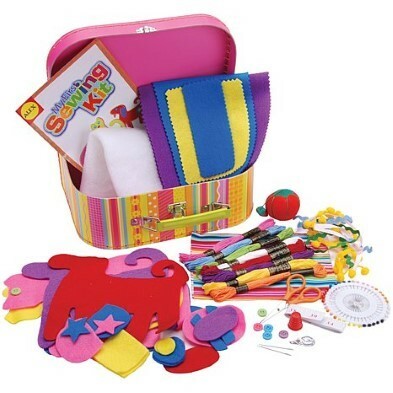 If that isn’t quite the thing, how about learning a craft such as knitting or embroidery with our Knit & Stitch Sets? 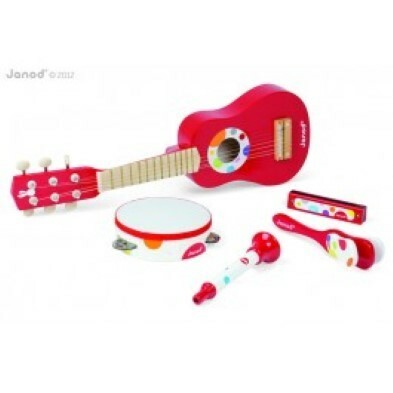 Or perhaps, kids can learn to make magical Music – with these marvellous instruments, could there be a number 1 hit in the offing? 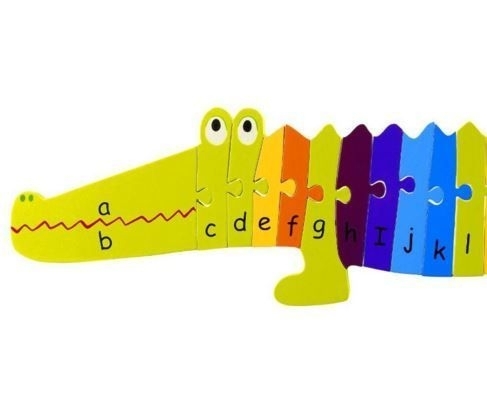 We have found over the years that it’s not just parents, but grandparents too, in particular, who really enjoy helping and passing on their knowledge and skills. And you really can’t put a price on quality family time. 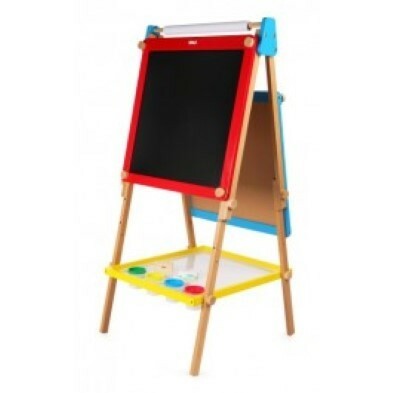 Drawing Heaven with this Tidlo Height Adjustable Easel! 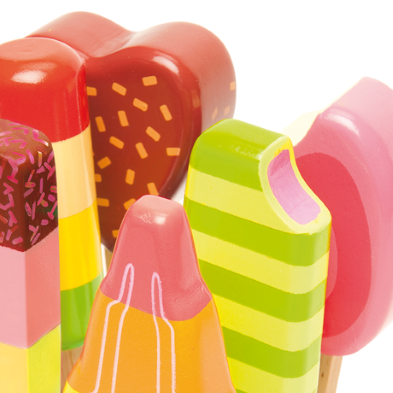 So after enjoying all those Hot Cross Buns and Easter Eggs – let children give their creative flair a go. Whatever the weather!